Jesus has been talking to me about being gracious in the face of critical and judgmental people around me. I would say that my natural, fleshly bent is to just think those people are obnoxious. I think God has purpose with them however. Perhaps it doesn't come out as the beautiful exhorting message that is going on in their mind. Perhaps most of us lack the ability to actually articulate what we are trying to say. I know I stick my foot in my mouth all of the time. I stumbled on a quote last week that I have been pondering. I didn't write down who said it, forgive me. Here it is: "If I refuse to see God in others, they will never see God in me." Now, I am quite sure that most of us would apply this to tattooed homeless people, but I thought about the people in my Christian circles. I'm just dumbfounded at the things people will say in the guise of encouragement or exhortation. I am making a choice to listen to the voice of God in it. Sure, people are poorly worded and line most things with a little jab, but Jesus is still alive in them. I am choosing to see Jesus in them and respond with grace. 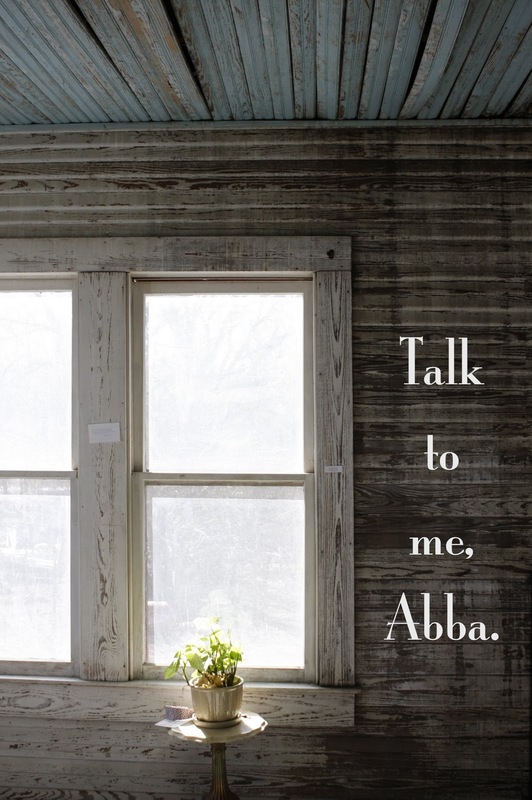 I think what our Abba wants is for us to show kindness to one another in a way that helps us each look more like Christ. Instead of dwelling on the things people say or how they say them, choose to see God in them. I will choose to see Jesus in you and put away my critical reacting in order to spur you on toward Him. It is all the same thing on different sides. Critical acting to critical reacting. Choose to look for Christ in them. We aren't pressing on through criticism in spite of our brothers, but for them. Keep sharing your story. They will know us by our love for one another.